Jean Gardner, BTSALP Dance Specialist at Meadowlark Elementary School, and her students are Happy to Dance and Happy to Learn! 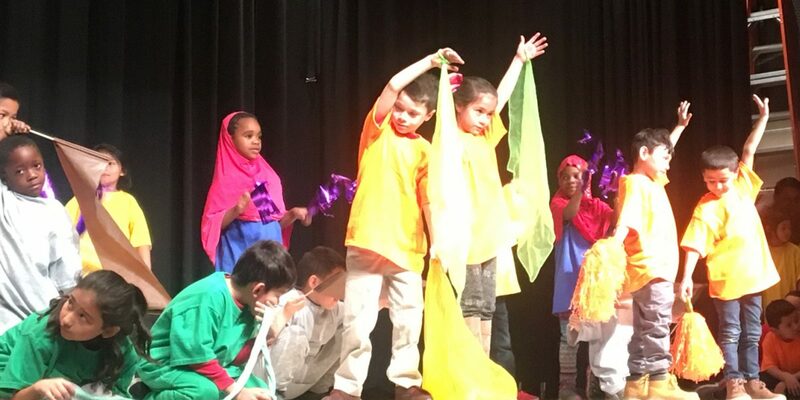 The First Graders learned all about the process of plant growth through dance. Third Graders combined the study of Australian Folk Tales and the phases of the moon. Upper Grades studied and danced ratios and rates using hand and leg movements. They also created a dance inspired by the artwork of Jean Michel Basquiat and the words of Maya Angelou’s poem, Life Doesn’t Frighten Me.